Add more excitement to your child's or student's art projects with these pom pons! 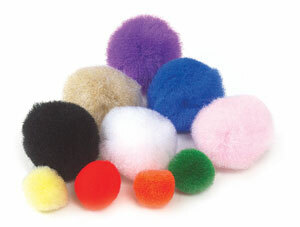 Fine quality, 100% acrylic puffy pom pons are extra soft and fun to work with. Pom pons are available in two sizes, ½" and 1". Choose from a variety of bright colors. Packages contain 100 pom pons.